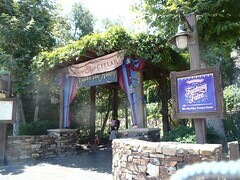 Mik and I always enjoy seeing the Blue Sky Cellar exhibits about what is being planned or what is new in the park. 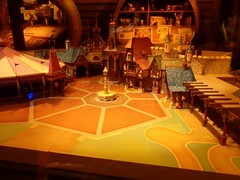 During our D23 Expo trip, the exhibit was about the new Fantasy Faire area in front of the castle at Disneyland. Mik enjoyed seeing the model of the area in the Blue Sky Cellar more than when we had visited Fantasy Faire in person the day before, although he does like the cheesy garlic twists from Maurice’s Treats there.